Having the best orbital buffer makes it easy to wax and polish your car, not to mention doing detail work. But choosing one is not as easy as it sounds given the large number of buffers that are sold online. No worries though, as we have chosen the top five orbital buffers and reviewed them here. An orbital buffer or a DA (dual action car buffer) is a device used to polish cars. There are many types of orbital buffers, but they function the same way. Think of a ball that spins on its axis as it rotates around the object. Orbital buffers are also called random orbital buffers because a free-floating spindle controls the spin. A random orbital/DA buffer is the easiest to use and ideal for first-time users. Their free-rotating spindle design keeps the machine from damaging your car’s paint. With a dual action pad, you’ll also have an easier time getting rid of swirls. A versatile DA also can be used for high-gloss paint polish, as a paint sealant or wax. The better models can also take out paint sealant or wax after it has dried. No matter how you use it, it’s the rotating assembly that makes them safe for waxing and polishing. A random orbital buffer is more powerful than a regular orbital buffer, but it’s up to you whether you need the extra power or not. These are also good for anyone who wants a safe way to polish their car. In spite of their ease of use, orbital buffers are powerful enough to be used by professional detailers. 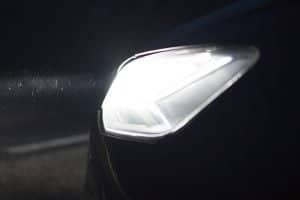 If you want to get into a detailing business, an orbital buffer will be necessary. A lot of people prefer the random DA because it is easier to use. On the other hand, some rotary buffers have a greater speed and higher capacity, so they’re suited for advanced users. 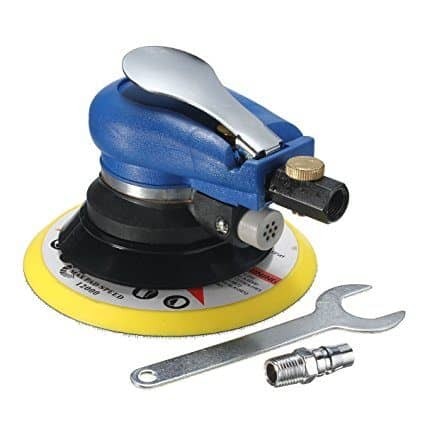 Rotary car polishers are often used for fiberglass polishing, gel coat, and sanding removal. However, there are also orbital buffers which can also perform these functions. For beginners who just want to polish and do some detail work during the weekend, a random orbital buffer is going to do fine. This is a matter of personal choice, but when everything is accounted for, a machine/orbital buffer is more efficient. With an orbital buffer, you’ll cover more areas, and they are very safe to use on cars. Some orbital buffers have variable speeds which allow you to buff and polish in different ways. An orbital buffer makes it easy to eliminate scratches. You can also use an orbital buffer to remove water spots in hard-to-reach areas. A well-designed orbital buffer also gets rid of oxidation. Most orbital buffers are easy to use. If you’re a beginner, it is a good investment, because you’ll learn how waxing and polishing works. An orbital buffer is a handy tool if you’re into car detailing. Orbital buffers have become more ergonomic, and now you can use one for extended periods and not feel tired. Motor—Power is measured in orbits per minute, and how powerful it is. However, you may not necessarily need a lot of power if you don’t do a lot of detailing or polishing. If you do, get as much power as possible. 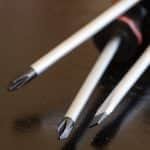 Cord length—Look for a long cord if you plan to do a lot of detailing. Handle—A comfortable handle is a must. Some like the D-style, while others go for those with the reverse side. This is a personal choice and you have to decide which one to use. Expandability—Most random orbital buffers work great out of the box, but you may want to accessorize them to expand their functionality. Weight—A good orbital buffer should be lightweight so it won’t slow you down. 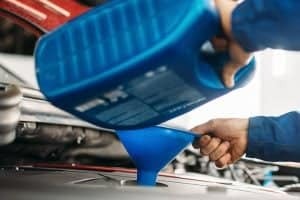 A light orbital buffer is especially important when you’re detailing hard-to-reach areas on your car. Versatility—This depends on what you want to do with it. If you’re going to use it for a car or cars, a standard DA will do. If you’re going to use it on boats, RVs and other vehicles, you’re going to need more power. 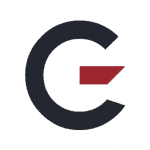 Brand—Only buy from those that are reputable and will support their products. Do not settle for unknowns as you could end up with a faulty orbital buffer. This video shows you how to use an orbital buffer. Consider it a general guide which shows how they work. 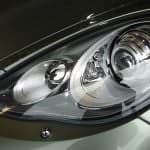 However, the process may vary, depending on the vehicle you’re cleaning and if it has special features that others don’t have. 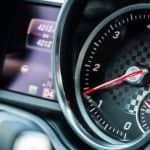 The WP900 can go as fast 4000 OPM (orbits per minute) so you can give your car a quality finish. The WP900 is both a waxer and polisher, so it’s ideal for detailing not just cars, but also boats and other projects. With the WP900, your car’s finish becomes smooth and free from swirls. The WP900 is ergonomically designed, so you should feel comfortable with the handle when doing detail work. With its 10’ cord, you can also now perform complex jobs without struggling with the length. The polisher also comes with several polishing bonnets and a foam applicator bonnet, so they’re easier to work with. The WP900 is also durable as it’s able to take a lot of punishment, much more so than other random orbital buffers. Sometimes it’s necessary to use some force when buffering, and the motor here is strong enough to handle that. The ergonomics are also solid as you’ll feel comfortable using this at different angles. Also, the on/off button is conveniently placed and won’t get in your way while you’re detailing. 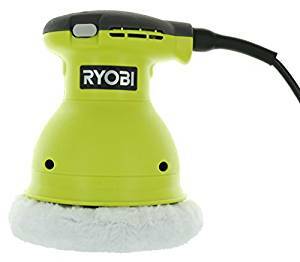 The 7424XP random orbital polisher is designed for swirl-free action, and it also works great for sanding and waxing. Its variable-speed dial ranges from 2,500 to 6,800 OPM, giving you the flexibility necessary to do complex polishes. With a quick dial adjustment, you can set the 7424XP to where it needs to be. The 2-position side handle is removable for your convenience, and there’s enough power here for most car projects. 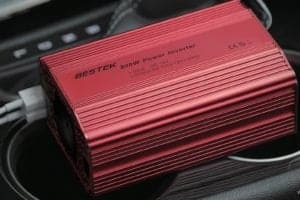 The 4.5-amp motor is durable and equipped with overload protection, so there’s no risk to your car. Its polishing pad does the job, and even at high speeds, you won’t see any swirling. The ergonomics are also complemented by its light weight (less than 6 lbs.). You can also outfit this with accessories for 5/16 to 24 spindle threads. Another key feature here is the patented counterbalance design, so it’s easy to sand and polish. This isn’t the first random orbital buffer that Porter Cable has made, but it is one of the most effective and works as it should. The Jeteven Random Orbital Sander has a free speed of 10,000 RPM, giving you greater flexibility. This also makes the Jeteven suitable for quick polishing without compromising efficiency. The handles are comfortable and won’t vibrate, even when you use it for long stretches. The Jeteven is also versatile, capable of being used on all types of car surfaces, as well as wood. As a sander, the Jeteven works just fine and doesn’t produce as much noise as other sanders. Because it doesn’t shake, the Jeteven won’t wear you out—if you do detail work, this is important. The Jeteven is perfectly suited for car polishing and won’t leave marks or swirls. However, it’s versatile enough to be used as a sander for desks and other wood surfaces. The Jeteven isn’t the lightest orbital buffer out there, but it’s still handy and ranks up there in terms of versatility. 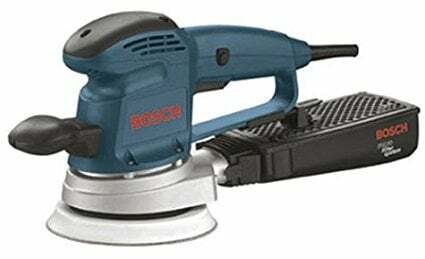 As a sander, it gets the job done without a fuss, and you can expect the same results if you use this as an orbital buffer. It even comes with a wrench, which you should find useful for any number of tasks. 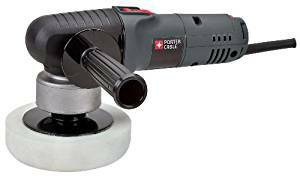 The 3727DEVS is a 3.3 amp polisher and sander, allowing you to use this on your car as well as wood objects and surfaces. It comes with variable speed control that ranges from 4,500 to 1,200 RPM, so you get a smooth finish. Whether you’re polishing cars or sanding, it’s easy to make adjustments. A dust canister is included so your workplace remains clean, and the die cast aluminum container provides extra durability. The 3727DEVS also has constant response circuitry, so there are no risks involved when you use this for sanding or car polishing. The 3727DEVS weighs 5.2 lbs., so it’s not going to wear you out, and the package includes a microfilter, dust pad wrench, and backing pad so you can start polishing or sanding right away. The 3727DEVS also comes with a pad-dampening brake which eliminates swirls, and the microcellular backing pad ensures the finish is smooth and consistent. 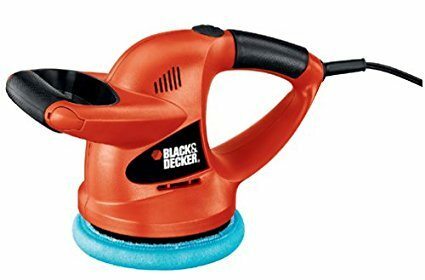 While this is primarily a sander, it works well as a car polisher. The RB61G is a powerful air-powered orbital buffer, giving it the means to perform various operations. Built with durability in mind, it is also equipped with a 120 V motor, so it can handle different polishing tasks. The device is also easy to use and it doesn’t leave any swirl marks. The RB61G comes bundled with three bonnets for added flexibility, and performance-wise, the RB61G gets it done. The polisher runs smoothly and doesn’t make a lot of noise like other brands do. The ergonomic handle is another plus, allowing you to hold this with one hand or two. It is built to the highest standards, so it won’t leave any unwanted marks on your vehicle. The durable design also means you can use this at top speed and not worry about applying a bit more force than usual. That being said, this is more suited for light and medium-scale polishing. If you don’t do a lot of detailing or polishing, then the RB61G is going to fit your requirements as far as performance goes. 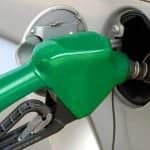 We chose these five because they offer great value for your money and help with your car maintenance. However, while they’re all good, the Black & Decker WP900 is a cut above the rest when it comes to quality and performance. This isn’t to say the other four aren’t good—only that the WP900 does things better and easier for you. This review already highlighted a lot of the good features of the WP900, so we don’t have to rehash them. We just want to point out that comparison wise, the WP900 offers the best overall performance. Its motor is one of the most powerful and it will keep going, and it is one of the most comfortable to use. Comfort plays an important role, so it’s good to see Black and Decker put emphasis on ergonomics. If you want to do polish or do detail work, the WP900 is the one to get. 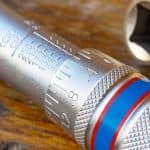 It’s easy to use, well-made, and it can take a beating like no other buffer. When you take everything into consideration, this is the kind of orbital buffer you’ll want to keep around.